The largest of the Canary Islands, Tenerife is a Spanish island located just off the north western coast of Africa in the Atlantic Ocean. Tenerife is one of the most popular holiday destinations in Europe, thanks to its superb climate, almost never-ending selection of attractions and cheap short-haul flights available from many European airports. Tenerife offers a huge diversity when it comes to landscapes, with the north of the island being much greener, cooler and lusher than the sun-kissed dry south. 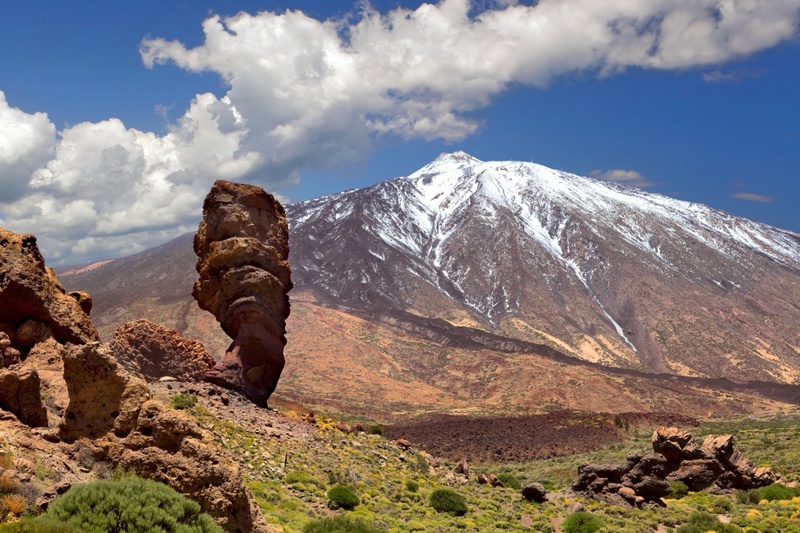 Thanks to this diversification, Tenerife has a wealth of sights for travellers to enjoy, with everything from a forest-covered national park and the domineering Mount Teide to the verdant valley of Masca and the oldest tree in the world. Sun-worshippers will be in their element here with a huge number of beaches to choose from. Whether you prefer volcanic black sand, soft white sand, small and secluded bays or lively and bustling beaches, you’re bound to find the perfect place to for you relax and soak up the sunshine in Tenerife. In addition to the natural attractions, the island also offers plenty of man-made attractions for visitors of all ages and tastes to enjoy. Thanks to its location, there is a wealth of water sports and excursions to choose from, with plenty of land activities available for those who prefer to keep their feet on the ground. With animal zoos, golf courses, adventure parks and helicopter rides – amongst many, many other things – Tenerife really does have it all. Traditional Canarian cuisine is delicious and is a must-try during your visit to the island. The restaurants lining the coast offer a plethora of freshly-caught fish and seafood, whilst the eateries inland offer amazing grilled meats which are barbecued right in front of your very eyes. Whether your perfect holiday involves relaxing, exploring or simply spending time with your family, Tenerife provides you with everything you need to make memories which will last a lifetime. Find information about selected Hotels, apartments and rooms in Tenerife and 5 star hotels in Tenerife to choose the perfect place for your accommodation.